This is very nice. 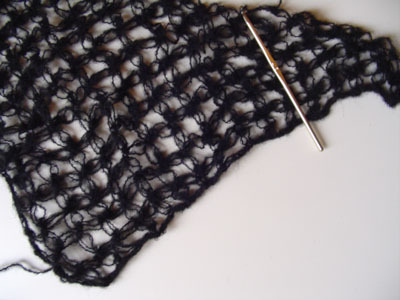 Are you using the Solomon/Lover’s Knot stitch? I have 2 shawls like yours – still hanging around on needles in my craft room.